A Florida couple is accused of leaving their 6-year-old autistic child in a truck outside a bar for hours because they wanted to watch "the Eagles win." 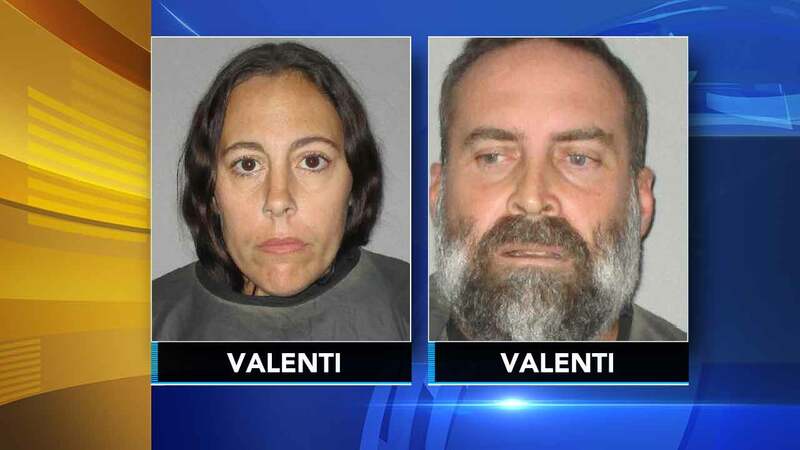 Robert and Kristal Valenti have been charged with Child Neglect without bodily harm. According to the Flagler County Sheriff's Office report, deputies were called to the Beer House in St. Bunnell after a caller reported that parents left their child unattended in a truck outside the bar while they were inside drinking alcohol and watching the Super Bowl. Upon arrival, deputies located the child wandering by himself. They were then met by a woman, later identified as Kristal, the child's mother. According to authorities, Kristal said she was meeting her husband Robert at the bar to watch the game because it was a very big event. She then, according to Sheriff's Office report, talked about the Eagles and attempted to "fist bump" a deputy. Authorities say alcohol could be detected from her breath. Kristal told the deputy she left her son in the truck to watch YouTube videos because the bar wouldn't let the boy inside after 6 p.m. She told the officer she would periodically go outside to check on him, according to the report. Kristal told her son she would be right inside the building should he need anything, according to the report. "That's not abuse," she reportedly told deputies. Deputies said Kristal told them the reason she did this was because it was the Super Bowl and she really wanted the Eagles to win. That's when her husband Robert exited the bar and joined the conversation. Robert allegedly told the deputies Kristal had been with the child the entire time. Witnesses from the bar, including the bartender, told police they saw Kristal come in and out the bar periodically in the two hour span. They were concerned when they saw the child running past the front door of the bar.